The CBA Transportation Committee, with members from various areas of Cordova Bay, works with the residents, Municipality and Province to resolve issues of concern around transportation in Cordova Bay. If you are interested in transportation-related matters in our area, consider becoming an active CBA member and working with this committee. 1) Vehicle, bicycle and pedestrian traffic around new developments (Plaza; Aragon/Pinnacle at Sayward Hill). 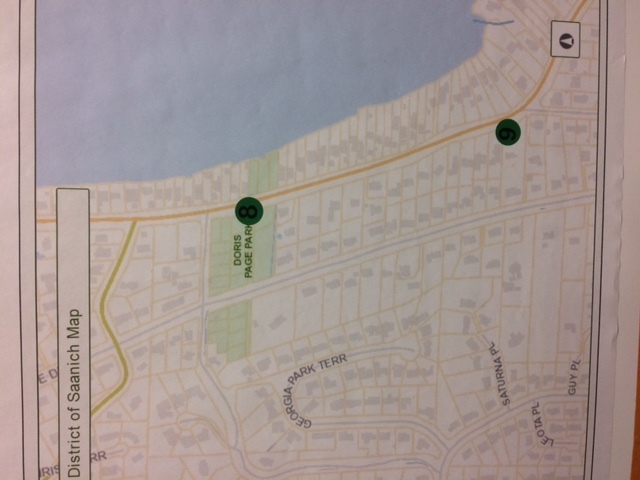 2) Make speed limit consistent 40 km/hr from Pat Bay Hwy & Sayward Rd., all the way along Fowler Rd., and all along Cordova Bay Rd. through Mt. Douglas Park. 3) Lockside Rd. : plan and implement efficient and safe ways for various forms of transportation to use Lockside, with local residents’ needs in mind. 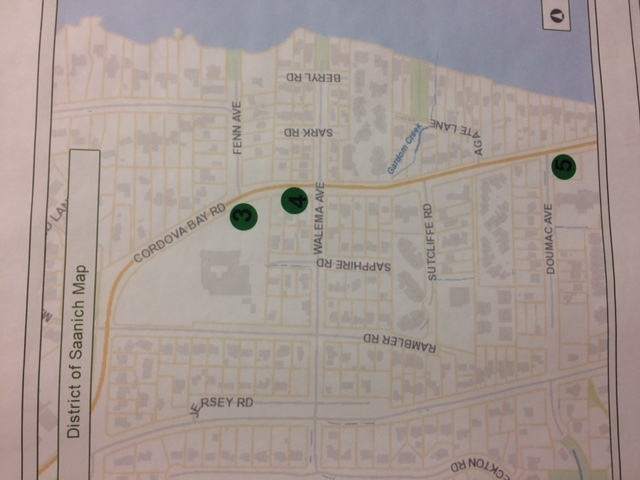 -Completed projects this year have been the advance turn arrow going south onto the Pat Bay Hwy, at the foot of Haliburton Rd., and the 30 km/hr signage at the dangerous corner of Fenn and Parker. -Nearing completion is the extension of the sidewalk on the north side of Haliburton Rd. to the Pat Bay Hwy – just line painting to be done. -Set for the 2019 budget year are culverts and filling in the ditches on the bottom of the south side of Haliburton Rd. for bike lanes. 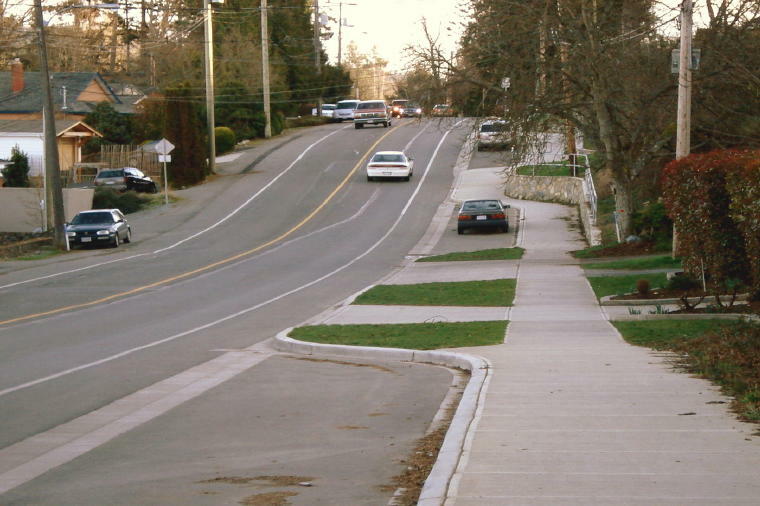 -Also set for the 2019 budget is improving the safety of Fenn Ave. by installing a curbed sidewalk on the north side, curving up the sharp hill/corner and around onto Parker Ave.
1. Access to Pat Bay Highway, with two left turn lanes from Sayward Rd. south onto the highway. 2. Aragon development, in conjunction with the Pinnacle development on Sayward Hill – need for traffic control at the intersection of Cordova Bay Rd. and Fowler Rd. (raffic lights or traffic circle). 3. Revitalization of the Village Core and transportation issues (vehicles, cyclists and pedestrians) around the new Plaza. 4. 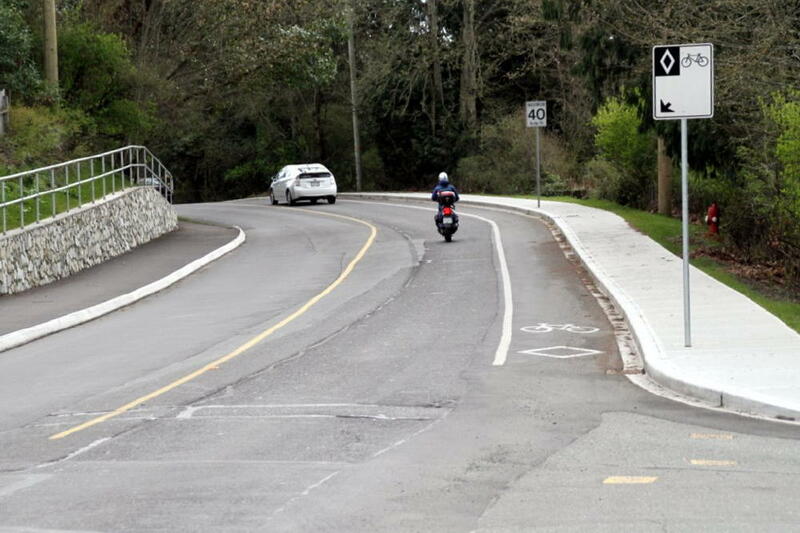 Lochside Trail, from McMinn Park to Mattick’s Farm, for vehicles, cyclists and pedestrians. -North Bound – No changes needed. 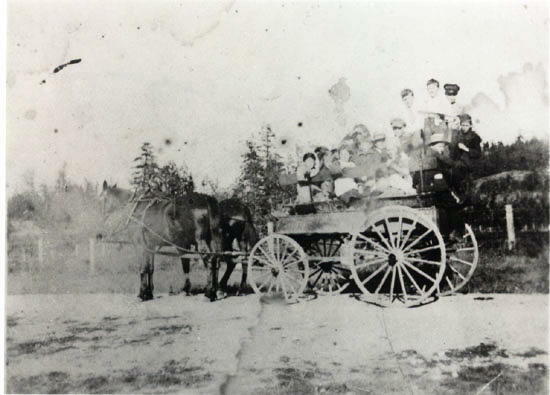 -South Bound – Only Sayward and Haliburton Rds. available. -We are advocating for two southbound turning lanes south at the Sayward Rd. junction to reduce wait times, and on the west side of the same junction, an acceleration lane. -A major challenge will be to convince residents from the new developments at Sayward Hill and Aragon to go to the Sayward Rd. and Pat Bay Hwy junction rather than using Santa Clara Ave. to get to Haliburton Rd. or Cordova Bay Rd. through the village. -General speeding traffic, not obeying the 40 km/hr. limit. -Ignoring the 30 km/hr limit at Doris Page Park/Cordova Bay Park. -Poor sight lines at the foot of Claremont and Cordova Bay Rd, looking north. -Dangerous crossing with no pedestrian controlled crosswalk at the foot of Gloria Pl. -Poor lighting at the Maxine Ln. and Cordova Bay Rd. intersection. -Install a pedestrian controlled crosswalk with flashing lights at the old general store for beach access. Requested, but Saanich holding off until LAP review finished. -Install permanent and secure speed reader boards giving motorists the posted speed and their actual speed, and which flashes when there is a big excess. -Install a “Small Vehicle Only” sign on the first parking space for the southern-most space in the south-bound lane, to improve sight lines. -All crosswalks in the core to have pedestrian controlled flashing lights. -Cordova Bay Rd. and Maxine Ln. intersection requires more and better lighting. The big tree blocking most of the light from the one overhead light needs a crew to cut it back for better light. Perhaps consideration could also be given to a crosswalk there with pedestrian activated flashing lights. It would also add to traffic taming of those who drive at excessive speed. -Installation of a median from the plaza to the old gas station at Fenn. -Allow breaks in the median at Doumac Ave. etc, allowing left turns for local residents exiting south. -Install two permanent flashing speed reader boards for the school zone set for 30 km/hr (Fenn to Mattick’s). -Upgrade the sidewalks and bike lanes. -Install signs for the end of lower speed zones: perhaps “end of 30km/hr zone, 40 km/hr resumes”. 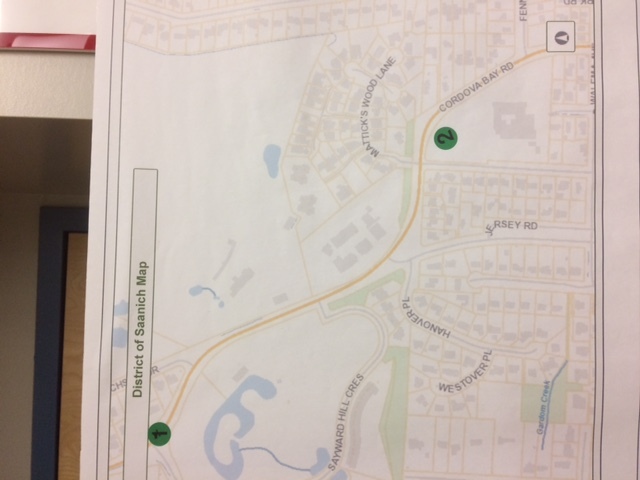 -This section of the trail is set for an upgrade as part of Saanich’s “Active Living Initiative”. The current LAP upgrading will also be addressing this. -The fundamental problem is a lack of space and segregation of the users. -Residents need to clear or have cleared the boulevard in front of their homes. -Residents can prune or have pruned limbs from trees blocking vision of oncoming traffic. 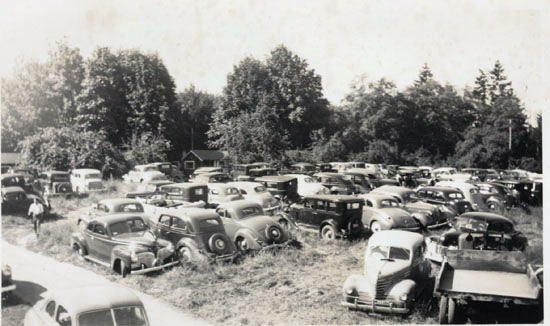 -Residents can park their own cars off the road and in their driveways. 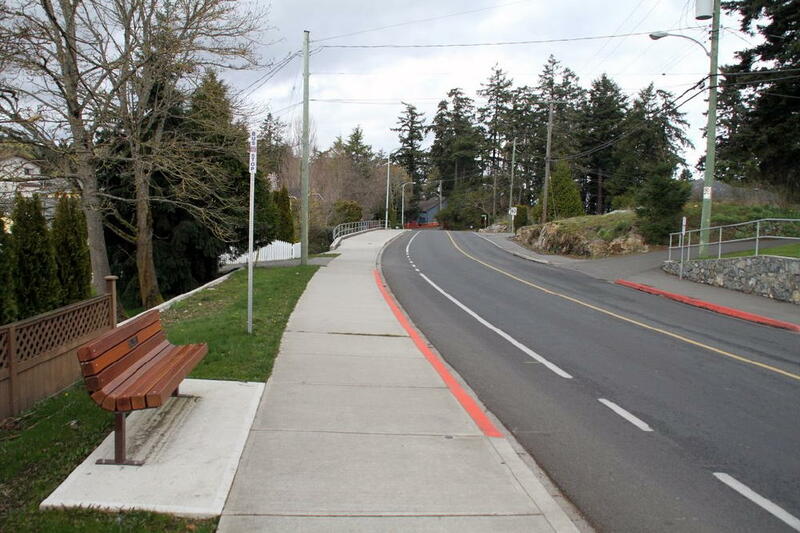 The Cordova Bay Association for Community Affairs Transportation Committee is requesting your feedback/input on proposed traffic calming measures along Cordova Bay Road. The Transportation Committee is a group of 9 Cordova Bay residents who are very concerned about the current and likely to be increased traffic in Cordova Bay. Currently, we have decided to focus on Cordova Bay Road as noted in the overview, as this is likely the area that will be most impacted by the increased traffic of the new developments. 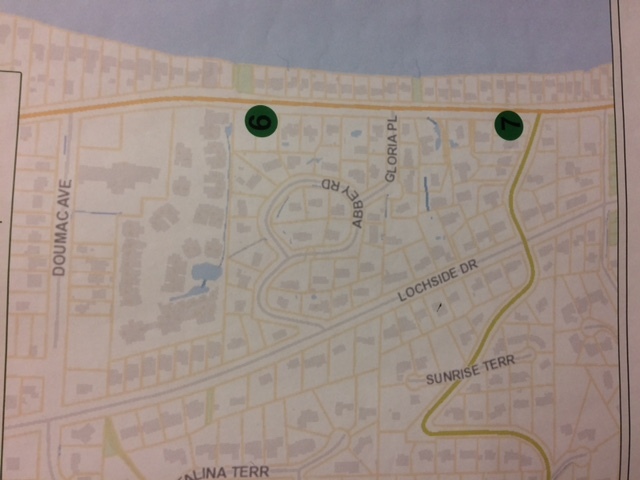 As you will note on the overview we have numbered areas on the map that the committee has identified as safety or problem areas. As a resident of Cordova Bay we would greatly appreciate your input/feedback. The CB+55 have agreed to allow us to display this overview in the CB+55 space at Cordova Bay Elementary school. They will not be providing any direction in regard to this matter and we ask that your input/comments/suggestions be directed to the CBA Transportation Committee at trafficcba@gmail.com . The overview will be on display Monday through Friday 9-3.30 until November 15, with one evening opportunity for viewing Thursday, November 9 from 7-9 p.m. also in the CB+55 space. As well, the overview is provide here in four sections: One, Two, Three and Four. Please help us correlate the results in a meaningful way when responding, by putting the area(s) that you are responding to in the subject line i.e. #2 Cordova Bay School or if your comments are general than please put “general comment” in the subject line of your email. Also please provide your address for our information. We will be seeking feedback until November 15, 2017 and once we have correlated the results we will share the themes from the feedback with the CBA membership, CBA Board of Directors, Saanich, BC Transit and others as deemed necessary. We understand that we cannot stop traffic as we all know this is a beautiful area that people are drawn to. 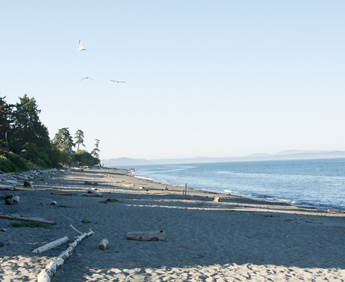 Our intent is to provide Saanich Engineering feedback and information from our community members so they can manage traffic to ensure safety for all using our roads, parks and beaches. Thank you in advance for supporting the work of the CBA Transportation Committee. Motorists are being advised of construction starting this week on the Pat Bay Highway between Sayward Road and Haliburton Road and are advised to expect delays. 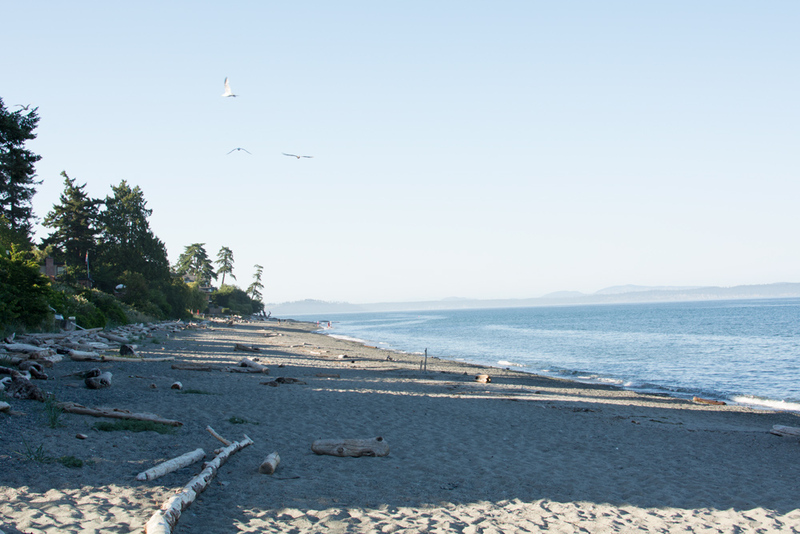 The work is expected to be complete in the early fall and will include the repaving of approximately three kilometres, as well as safety improvements at Cordova Bay Road that, once complete, will allow only right-in, right-out from this road. The timing of the traffic signals at both the Sayward and Haliburton intersections will be adjusted as needed to accommodate the expected traffic pattern changes. The majority of work will occur at night when traffic volumes are low. Work will not occur over holiday weekends and staff will be monitoring traffic throughout the duration of the project to ensure any delays related to construction are minimal. The work schedule may also change due to weather and other conditions. Motorists are advised to allow for extra time and are reminded to obey traffic control personnel and construction speed limits, and watch for workers and highway message boards. For up-to-date traffic advisories, please check: www.drivebc.ca/.